AUGUSTA, Ga. - Dec. 7, 2016 - PRLog -- Global Entertainment Technology, Inc., ("GET") has announced the addition of another music format that will be a part of the Terrestrial and Internet radio stable offered through its future American Internet & Radio division – "Texas Eagle" – a music format that encompasses all of the element of Texas Country music. GET CEO, Dain L. Schult, remarked, "Texas is a whole 'nother country unto itself when it comes to Country music because of the diversity of musical elements such as Swing, Country and Western, Blues and even Tejano – all of which makes Texas Country music separate and distinct from other formats. 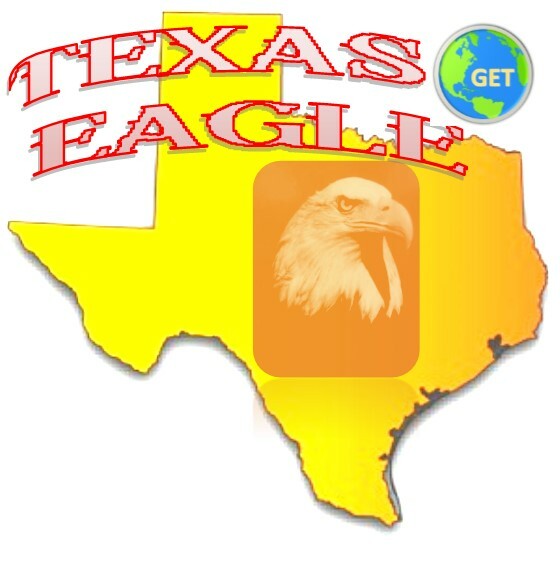 "GET's planned American Internet & Radio division will feature Texas Eagle on both its planned Terrestrial and Internet radio stations. The format will also be available for syndication through Amerirep, GET's media rep and syndication division to other radio station across the country and even internationally as there is enduring interest around the world about all things Texas and that's what this format is all about. "Texas Eagle", will be a separate and distinct Country format from the Company's other Country music formats. As with all GET/AIR formats it will contain a larger music library basis than competing formats insuring against repetition or listener burnout." GET will conduct a search to locate the necessary programming and air talent for future employment to handle the format. Anyone who would like to participate with us in this area is welcome to contact the Company. In formatic development, the Company may find outside programming and air talent that will provide additional creative ideas custom craft this format. This release contains forward-looking statements within the meaning of Section 27A of the Securities Act of 1933, as amended, and section 21B of the Securities and Exchange Act of 1934, as amended. Readers are cautioned not place undue reliance on these forward-looking statements, which are only predictions and only speak as of the date hereof. Forward-looking statements usually contain the words "estimate," "anticipate," "believe," "plan," "expect," or similar expressions and are subject to numerous known and unknown risks and uncertainties. These risks and uncertainties could cause the Company's actual results, once it's fully operational and trading, to differ materially than those indicated in the forward-looking statements. Management regularly provides news and additional information believed to be true and accurate at the time of dissemination but has no requirement to modify, comment or change in the future should circumstance change or information prove to be inaccurate for any reason. This is not a solicitation for funding or investment in the Company. Additionally, GET makes every effort to comply with all applicable laws.